This week Anthony went to NYC to take in Lincoln Center's MY FAIR LADY (with Michael Yeargen's high energy set and on Sundays Kerstin Anderson's big voice) as well as the similarly structured PRETTY WOMAN: THE MUSICAL at the Nederlander, and another play by Joshua Harmon (a Shaw for our times) called SKINTIGHT starring Idina Menzel. Peter went to the Glimmerglass Festival, equidistant from Buffalo and NYC, attracting an audience which appreciated the seldom seen Janacek opera THE CUNNING LITTLE VIXEN, the new Pulitzer Prize winning SILENT NIGHT, and a youthful WEST SIDE STORY with a (literally) show-stopping version of "America" with lyrics by Stephen Sondheim. "Anita" and "Bernardo" (leader of the Sharks and brother of Maria) are a high energy couple in an energetic WEST SIDE STORY at the Glimmerglass Festival near Cooperstown, NY. NUNSENSE 2, musical by Dan Goggin directed by Debby Koszelak Swartz, starring Swartz, Joann V. Mis, Jenna Montesanti, Elizabeth Sanderson, Jill Anderson. Aug 2-12, Thu at 7, Fri & Sat at 8, Sun at 2. Ghostlight Theatre, 170 Schenck St., North Tonawanda (743-1614). www.starrynighttheatre.com. MUCH ADO ABOUT NOTHING, comedy by William Shakespeare presented by Shakespeare in Delaware Park, directed by Kyle LoConti, starring Todd Benzin, Kate LoConti, Nick Stevens, Melinda Carpeles, Gregory Gjurich, Chris Hatch. Jul 26-Aug 19, Tue-Sun at 7:30. Shakespeare Hill in Delaware Park (856-4533). www.shakespeareindelawarepark.orgCLICK, CLACK, MOO, musical presented by Niagara University Theatre for Young Audiences, directed by Steve Braddock and Terri Filips Vaughan. Jul 19-21 & Jul 27 at 7; Jul 24 at 1; Jul 25 & 28 at 10:00 a.m. Leary Theatre. N.U. campus. Free admission. THE ODYSSEY, a theatrical event conceived and directed by Lear DeBessonet, with book, music and lyrics by Todd Almond adapted from Homer, August 4th at 8:00pm and August 5th at 1:00pm in the Artpark Mainstage Theater. (1-888-223-6000) www.artpark.net, www.tickets.com, by phone at or in person at the Artpark Box Office. Theater Talk promotes gender inclusion in the arts and this week recognizes three strong women. Eleanor Jean Murray who recently passed away at the age of 95 was a driving force behind the Studio Arena Theatre (now Shea's 710 Theatre). Chelsea Marcantel has another of her plays on stage at Chautauqua called AIRNESS. And 2018 Artie-nominated Heather Fangsrud presents her one-woman play KNOCK KNOCK, JESUS CALLING about growing up gay in a Jehovah's Witness family. There is a wide variety of theater offerings this early July, from the innocent ALICE IN WONDERLAND in East Aurora's Hamlin Park (an outdoor event), to the definitely 18+ SILENCE! 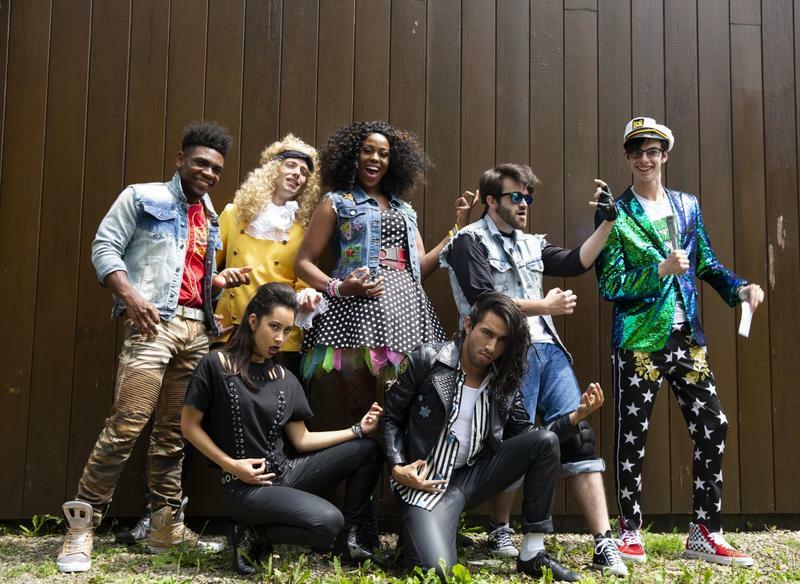 THE MUSICAL at the Alleyway, some farce (HERE LIES JEREMY TROY) at Desiderio's Dinner Theatre, KING LEAR closes this Sunday at (free) Shakespeare in Delaware Park and something different at Chautuaqua: AIRNESS about an air guitar contest!